The small but significant perks of flying first class. 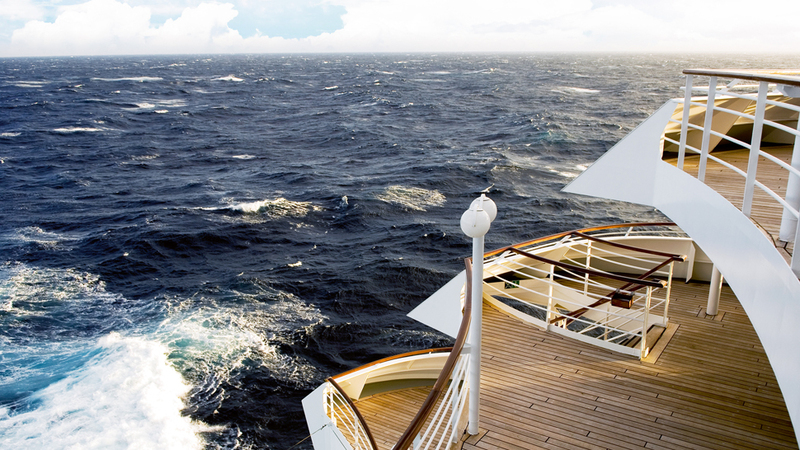 Luxury is about the little things. 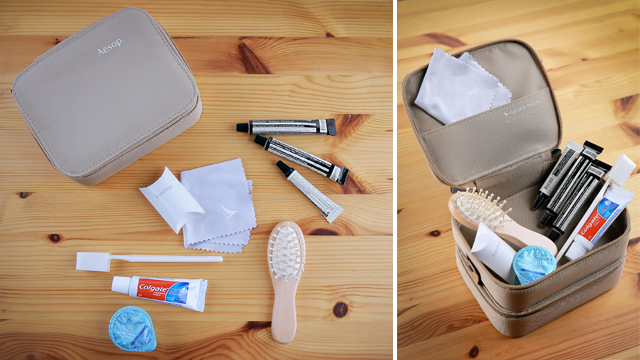 That’s why many of the world’s best airlines take care to treat their passengers with special amenity kits—small bags with a few toiletries and treats to keep them comfortable for long-haul flights. 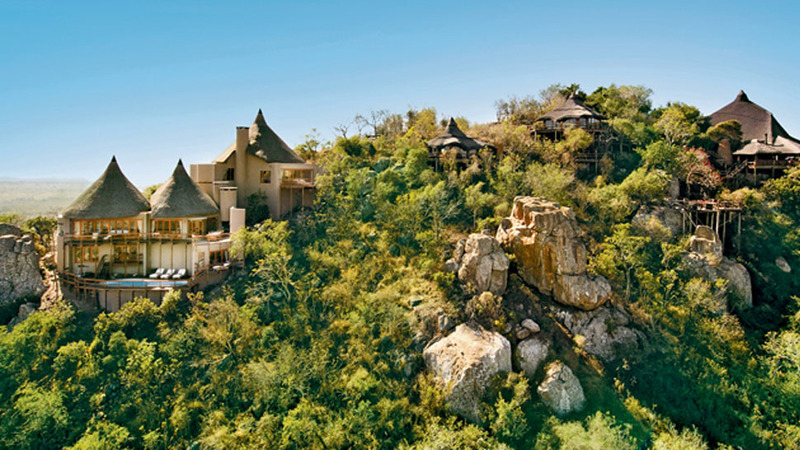 It’s especially delightful for first-class and business-class passengers, of course, for whom the little things are always made extra special. 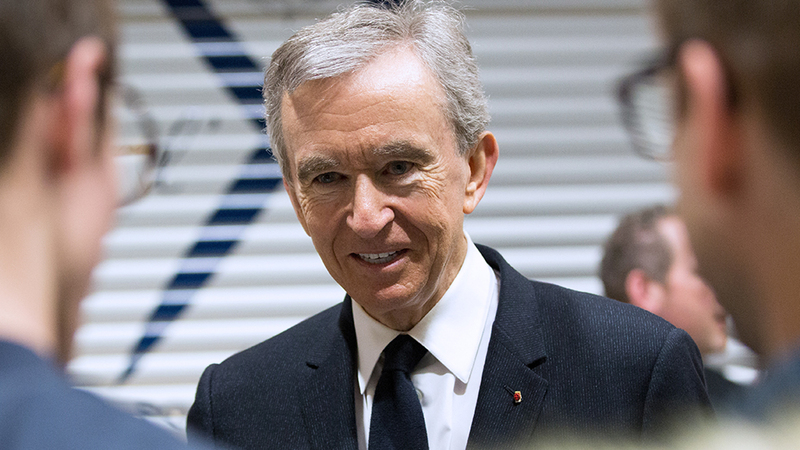 The difference that makes a first-class flying experience, after all, is in these little things. 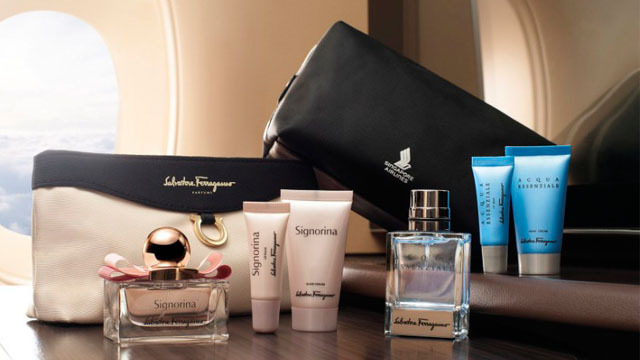 That’s why the best airlines often collaborate with upscale brands to provide their passengers with cool loots—ones that many from the jet-setting class have even taken to collecting (some airlines offer exclusive amenity kits that you can only receive on specific routes, making them highly collectible). Brands like Bulgari, Bentley, Tumi, and Rimowa come into the picture to help airlines create kits that really put a nice little finishing touch on an upscale flying experience. 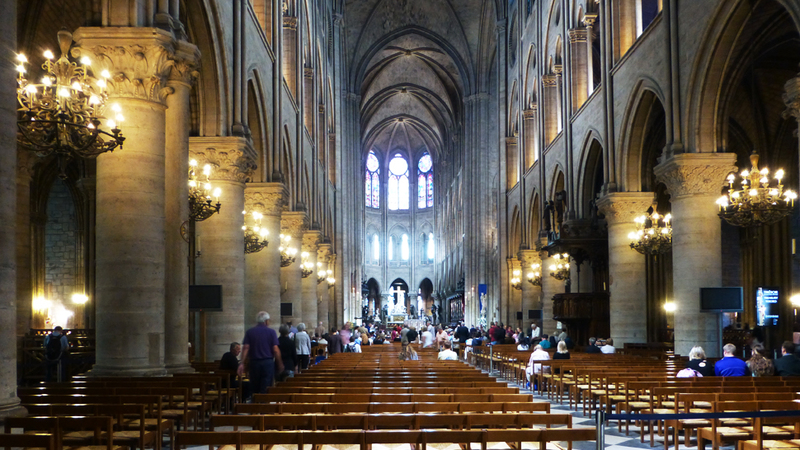 We’ve taken the a look at the World’s Top 10 Airlines of 2016 according to Skytrax, a prestigious award-giving consultancy whose annual World Airline Awards are recognized as an authority in air travel. 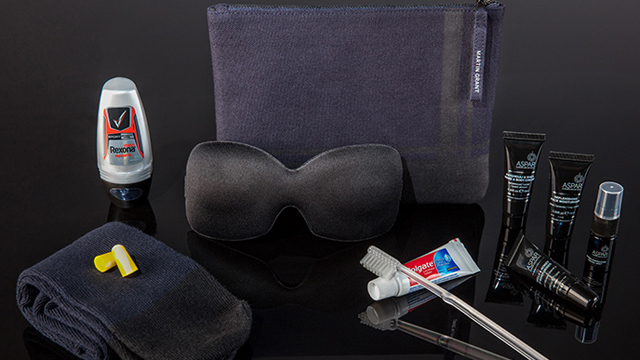 These are the airlines that would, without a doubt, go the extra mile for their amenity kits. At the top of the list is Emirates, which snagged the number one spot for 2016, and is now lauded as the world’s best airline. 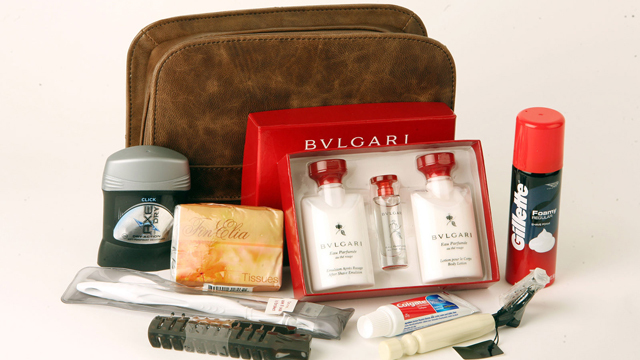 Their first- and business-class passengers are treated to a kit by Bulgari, containing a hairbrush, a dental set with Colgate toothpaste, a tissue pack, Axe deodorant, and more Bulgari lotions, balms, and towels, differing for men and women. 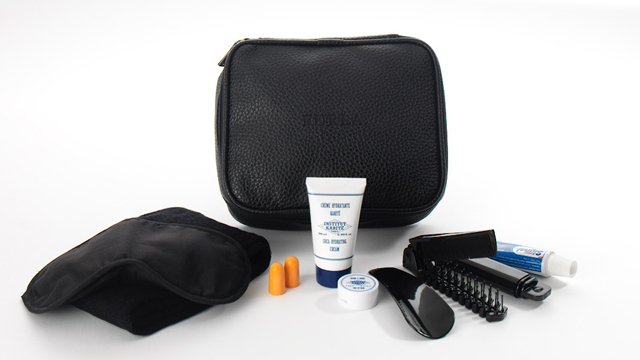 The men’s kit also contains a neat shaving razor and some Gillette shaving cream, while the women’s kit includes a Bulgari face emulsion and a mirror. It also bears mentioning that Emirates’ Economy Class recently introduced the world’s first interactive amenity kits, which use augmented reality to include content like activities, articles, and music in the kit. Qatar Airways, on the other hand, was 2015's number one airline. 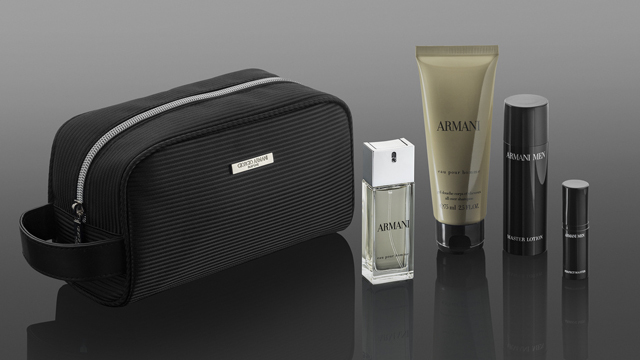 This year, they’ve partnered up with Giorgio Armani for first-class passenger kits on select A380 flights. The ladies’ kit includes SÍ Lotion, SÍ EDT, Giorgio Armani Perfection Eye Makeup Remover, and Giorgio Armani Crema Nera Extrema. The men’s kits feature Armani Eau Pour Homme Shampoo, Armani Eau Pour Homme EDT, Armani Men Master Lotion, and Armani Men Perfect Master Serum. Both kits include a comfort bag consisting of lip balm, socks, eyeshades and ear plugs while the ladies kit also includes a hair brush. 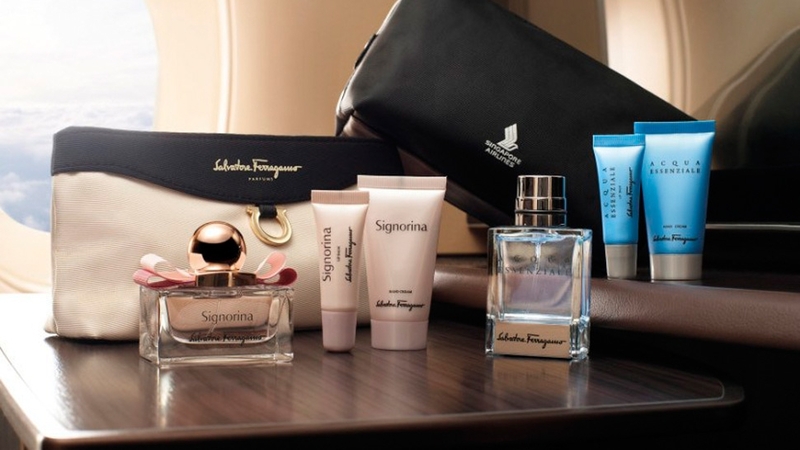 Singapore Airlines’ first-class passengers are treated to Salvatore Ferragamo kits, which include a lip balm, hand cream, a towel, and a fragrance, all by Ferragamo. Australian brand Aesop designed the case for Cathay Pacific’s first-class kit, which contains Aesop products: Camellia Nut Facial Hydrating Cream, Rind Concentrate Hand & Body Balm, Rosehip Seed Lip Cream, a toothbrush, toothpaste, mouthwash, earplugs, a cotton pad, a hairbrush, a sleeve and a monitor-cleaning cloth. The ladies’ bags on flights to Hong Kong are also designed differently from the kits for flights from Hong Kong, which makes them both collectible. 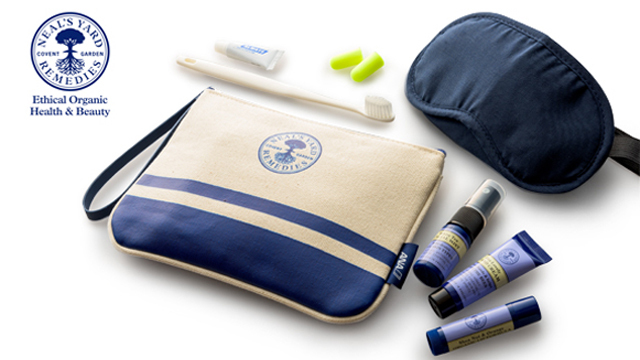 All Nippon Airways ranks fifth this year, and its amenity kit is an exclusive travel collection by Neal’s Yard Remedies. The kit, which itself is made of natural canvas, contains the organic brand's Bee Lovely Hand Cream, White Tea Facial Mist, and Shea Nut and Orange Organic Lip Formula—all infused with certified-organic essential oils. These kits were first available on flights from Japan to North America and Sydney, but have gradually become available on other routes as well. 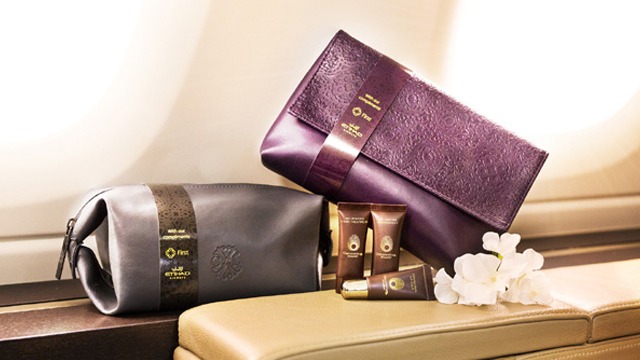 Etihad’s 2016 first-class amenity kits were designed by Christian Lacroix, and contain anti-aging and rejuvenating products from Hungarian skincare brand Omorovicza, which are infused with gold. This also includes a perfecting lip balm, a facial moisturizer, a nourishing, lightly scented hand treatment, and a cleansing wipe. As of now, these kits are only available on flights between Abu Dhabi and London, New York, Sydney, Melbourne, and Mumbai, but Etihad will be rolling them out fleet-wide by early 2017. 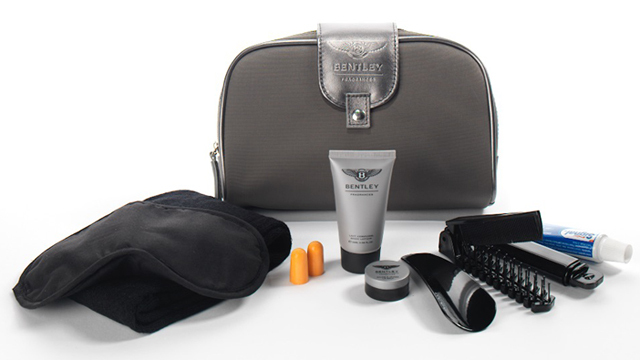 For most of 2015 and 2016, Turkish Airlines has been treating its Long Haul Business Class passengers to amenity kits by Jaguar and Cerutti. By 2017, they’ll be swapping those out for bags by Bentley and Furla. If you haven’t been able to get yourself a Rimowa suitcase quite yet, a trip aboard EVA Air’s Royal Laurel Business Class will give you something close. The airline's overnight kit, introduced in 2013 and updated last year, is a small Rimowa kit, done in EVA’s signature lime and olive green colors. The overnight kits contain sandalwood-scented moisturizer and lip balm from Thai brand Harnn, as well as a pair of ear plugs for a good night’s sleep. 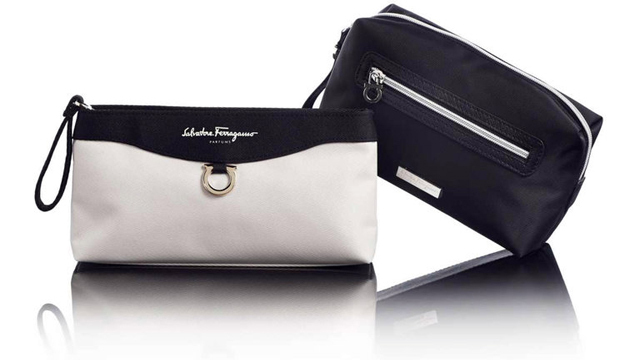 Qantas’ first-class amenity kits were designed by Martin Grant, a Paris-based fashion designer. 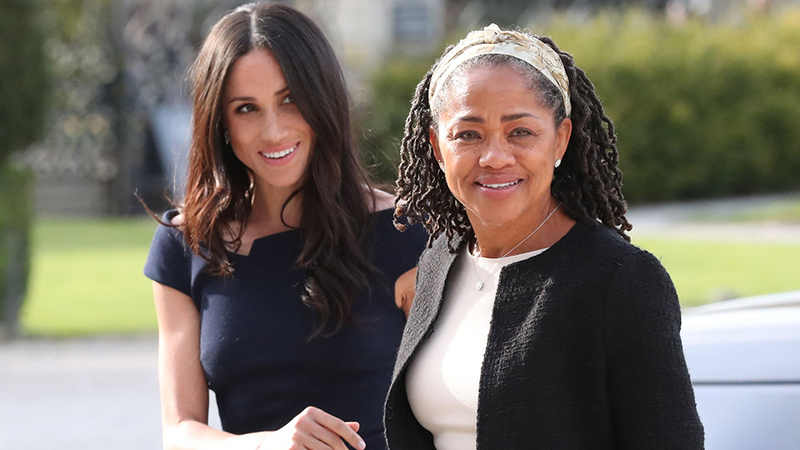 They come with hydrating products by ASPAR, a dental kit, ear plugs, eye mask, and deodorant, as well as a neat pair of socks designed by Martin Grant as well. 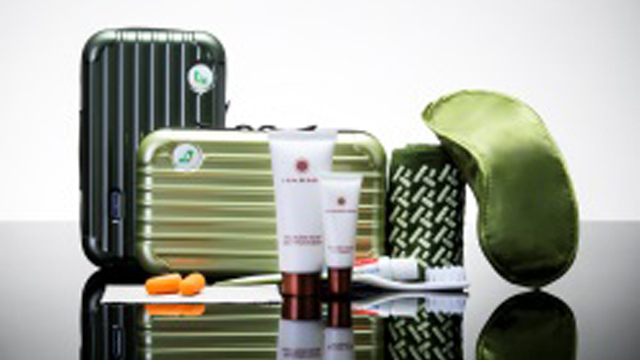 A first-class, long-haul flight with Lufthansa will also get you a nice Rimowa amenity kit, packed with a comb, dental necessities, a towel, a shoe horn, and La Prairie lip balm, Cellular Swiss Ice Crystal Cream, and Cellular Hand Cream.